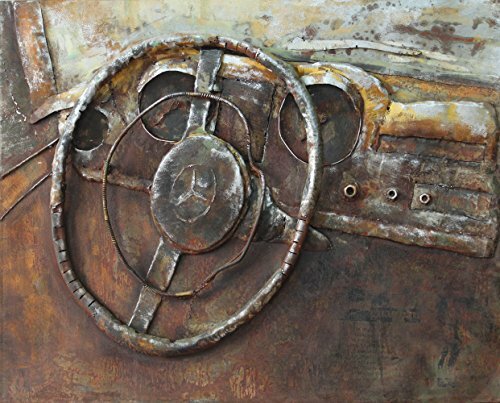 This rustic view of the classic Mercedes Benz dashboard puts you behind the wheel of an iconic German sports car. You imagine where this old automobile has been and how many miles it may have traveled. Was it owned by a kindly old couple or did it race alongside Porsches, Ferraris, and Corvettes at places like Le Mans or Sebring? Did it wreck in a fiery 160 mile per hour pileup or was it left to rust in a garage? Your imagination is the only limit as you gaze at Primo's three dimensional art. If you have any questions about this product by Empire Art Direct, contact us by completing and submitting the form below. If you are looking for a specif part number, please include it with your message.